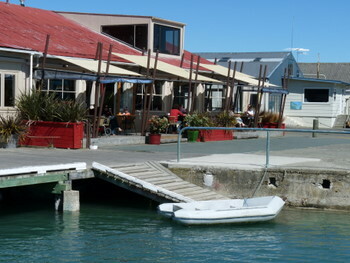 Mapua is a lovely coastal township along the Ruby Coast. Mapua offers a wonderful break if you're travelling from Nelson to the Abel Tasman. It is an ideal place to stop and enjoy some fish and chips by the sea. Or why not try a craft beer or a sit down meal. With waterfront eateries and a great ice cream parlor you'll enjoy the summer feel. 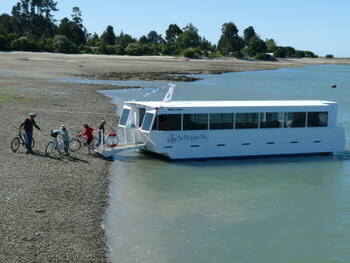 If riding the cycle trail you can catch the boat that will bring you and your bicycle across the water to Mapua. Get your breath back in this beautiful sea side town. Take a wander and enjoy the many galleries displaying local artists - the ideal place to buy a gift or a souvenir to take home. There are many accommodations on offer in this beautiful part of New Zealand. These range from campsites to upmarket holiday homes. Why not spend a few days here in Mapua enjoying the scenery and a swim.